G & D Media - Buy Online Book with us! Dr. Bob Rosenthal has been a student of A Course in Miracles for over forty years. As co-president of the Foundation for Inner Peace, he saw the need for a series of books that could help others get started. In this first book of the series, he rebuilds the edifice of the Course’s teaching from the bottom up. Millions read the works of Napoleon Hill and are catapulted to their dreams. Others say they get nowhere. Why? The difference between success and failure lies in the use of the Master Mind. The human mind is like a titanium lock. If you communicate poorly—through endless talking, inattentive listening, or over-the-top pressure—it’s like spinning the numbers on the lock over and over uselessly. 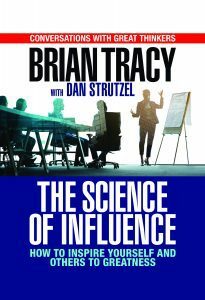 But if you develop the key skills of influence, it’s like knowing the exact combination to that lock and gaining access to the consciousness of another person—or to your own. Your Mindset impacts everything you think, say, and do. It is the software your brain uses to create attitude, experience, and achievement, and is the filter that builds behavior. Your Mindset helps you make sense of everything that happens and is the prism through which you experience life. 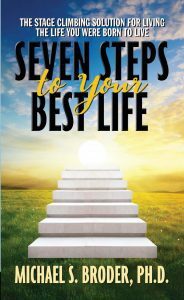 In his classic guides Think and Grow Rich and The Law of Success, motivational pioneer Napoleon Hill taught that finding your Definite Chief Aim is the most decisive and important step you can take in life. 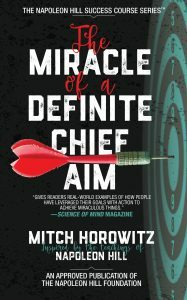 In this compelling and eminently practical “master class,” acclaimed historian and New Thought author Mitch Horowitz takes you for a deep dive inside Napoleon Hill’s most urgent principle. Why do we so often fail to connect when speaking with business colleagues, family members, or friends? Wouldn’t you like to make yourself heard and understood in all of your relationships? 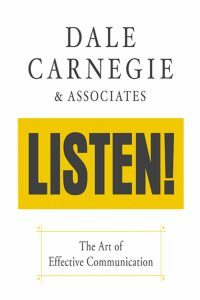 Using vivid examples, easy-to-learn techniques, and practical exercises for becoming a better listener-and making yourself heard and understood, Dale Carnegie will show you how it’s done, even in difficult situations. Let world renowned bestselling author and business consultant, Brian Tracy, teach you the “science of money” . . . tested and proven not just for years, but for millennia. If you study the ideas in this book, and apply them to your life and your business, you too, can become financially successful. The idea of being successful is an attractive one, filled with positive emotions. But the actions required to be successful at work and in our relationships are often difficult and lengthy. Personal development expert and motivation master, Brian Tracy will teach you how to bridge the gap between what we say we want, and what we must do to achieve it.